Come Together, the lead song on The Beatles' Abbey Road album, was conceived by John Lennon as a political rallying cry for the writer, psychologist and pro-drugs activist Timothy Leary. It was a funky record – it's one of my favorite Beatle tracks, or, one of my favourite Lennon tracks, let's say that. It's funky, it's bluesy, and I'm singing it pretty well. I like the sound of the record. You can dance to it. I'd buy it! The song was composed for Timothy Leary's campaign to stand against Ronald Reagan as governor of California. Leary and his wife Rosemary had traveled to Montreal for John and Yoko's bed-in for peace, which took place on 1 June 1969. The Learys participated in the recording of Lennon's Give Peace A Chance, and were both namechecked in the lyrics. The following day Lennon offered to help Leary's campaign. His slogan was 'Come together, join the party'. Lennon sent Leary a demo tape of song ideas. However, when Leary was imprisoned for cannabis possession the campaign ended, enabling Lennon to record the song with The Beatles. The thing was created in the studio. It's gobbledygook; Come Together was an expression that Leary had come up with for his attempt at being president or whatever he wanted to be, and he asked me to write a campaign song. I tried and tried, but I couldn't come up with one. But I came up with this, Come Together, which would've been no good to him – you couldn't have a campaign song like that, right? Leary was bemused when he came to hear The Beatles' recording of the song. Although the new version was certainly a musical and lyrical improvement on my campaign song, I was a bit miffed that Lennon had passed me over this way... When I sent a mild protest to John, he replied with typical Lennon charm and wit that he was a tailor and I was a customer who had ordered a suit and never returned. So he sold it to someone else. Come Together was Lennon's last politicised stance in The Beatles, although much of it was shrouded in imagery: the song lampooned the hippy figureheads who would seek followers among the dropouts of society. Musically, Come Together took its cue from Chuck Berry's 1956 song You Can't Catch Me; both songs contain the lines "Here come old flat-top". Lennon was later sued by Berry's publisher Morris Levy. They settled out of court, and Lennon agreed to record more songs owned by Levy. Come Together is me – writing obscurely around an old Chuck Berry thing. I left the line in 'Here comes old flat-top.' It is nothing like the Chuck Berry song, but they took me to court because I admitted the influence once years ago. I could have changed it to 'Here comes old iron face,' but the song remains independent of Chuck Berry or anybody else on earth. The result was his 1975 album Rock 'N' Roll, which contained Berry's Sweet Little Sixteen and You Can't Catch Me, along with Lee Dorsey's Ya Ya (also recorded with the 11-year-old Julian Lennon on drums for 1974's Walls And Bridges). 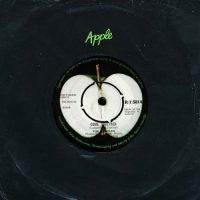 A version of Come Together was included on The Beatles' Love album. Its lengthy fade-out is augmented with elements from Dear Prudence. After the song, the "Can you take me back" snippet that followed Cry Baby Cry on the White Album can be heard. Thanks for the post and drilling down so deeply into Abbey Road’s opening track. It does sound like Paul but I don’t think anyone could be sure as there is a lot of distortion on it. There’s more to the song than that isn’t there? I’ve heard that each verse is a description of each Beatle – goes George, Ringo, John and lastly (and least?) Paul. It seems to make sense. What is your take there? Thanks. Question: Why wasn’t Paul included in the lawsuit. Is he not legally a co-writer? Lennon played the piano part, not Paul. It just amazes me that people think THEY know better than the composer what the lyrics mean. For me this is a border song of Lennon, it’s obvious he sings “come together over me” over the crashed group. He was outside that time, he believed after Toronto concert he could make it, but as an artist, a group leader he was gone forever. – McCartney IS doing the lower register harmony vocal. NO question about it. But…he kind of sounds like John. – George is playing the rhythm guitar throughout (in Lennon’s kind of way/style). Solos and outro licks are all Lennon. Listen to rehearsal/jamming clips. Kind of sounding like John. (make no mistake, this song is about an amalgam of all these people, sum total, John. Ono’s name is the ONLY name mentioned because he saw her as already part of him/bonded/soul mates). – Verse 1, Laced with bitterness. Lennon had many instances of disliking himself too. He himself could be a ‘holy roller’ espousing his beliefs etc. John saw HIMSELF in all these people…. Paul played,the elctric piano. Why distort this? on some lines he does; for example, “one and one and one is three” and “I know you, you know me” I think McCartney does harmonies. Emerick clearly says that Paul did not sing on the chorus, which is correct. He perhaps could have worded it better because one might get the impression that he meant that John did all the backing vocals. I don’t think Emerick has been shown to be wrong on too many things… I realize that his accounts on average slightly favor McCartney over Lennon, but that doesn’t necessitate some unyielding bias against John. I think Lennonites can be narrow-minded when it comes to the positive things Paul contributed to the band. “Clearly anyone can tell…”? Sorry. It, in fact, sounds like John (as anyone can tell). The song he wrote for Leary was completely different in tempo and melody. He briefly sang it in an interview. Emerick’s recollections are nonsense. The el. piano part is quite complicated. The middle solo has tricky left hand playing, beyond Lennon’s capabilities. Plus, John said in 1972 that the el. piano was played by Paul and Paul said the same in 1984. Was listening to the Beatles Channel on Sirius XM when Berry’s “You Can’t Catch Me” came on (for those of you who don’t have the channel, they frequently play artists who influenced the Fabs). Even before the “flat top” line, my son, who didn’t know about the whole lawsuit, just blurts out that it sounds like Come Together. I found it quite amusing. Everybody talks about the lyrics and who sung a second voice. The song is clearly a Lennon-song, but the contribution from Paul’s bass makes it unique. Everybody who covers the song takes care on it, ( as also on the famous drum-line.) Hear Bobby Mc Ferrin. Today all additions and small changes on the lyrics and/or the music are credited. So it isn’t wrong to say that this is a Lennon/McCartney song. What amuses me is the constant bickering, firstly among the Beatles themselves, then their associates and finally their fans, over who did what. While it’s nice to know if Paul sang harmony vocals or Ringo played euphonium, at the end of the day it’s the sound of the record that matters, and the record sounds fab. I don’t care who played what. If The Beatles were worried about the general public knowing these facts, they would have made more of an effort to record them; but they didn’t, so we shouldn’t. If it takes knowing who did what to enjoy the record, you shouldn’t be listening to it. This song is an example of collaboration, as always the Fab Four did. The demo or the naked composition is nothing great, or just one more of the Lennon’s didn’t care about song to be improved and performed as a final masterpiece. As always or almost always, George, Paul and Ringo were more inclined to did it and in this case, they reached a high altitude, with each one of them working on the song that Lennon just casted to the studio with his rhythm guitar, and then said “goodbye”. Lennon high performance in The Beatles was just because of his companions, specially Paul. He was just a teddy boy, a good rock and roller with a fantastic voice and feeling, pushed in competition by Macca, who really was a formal musician interested in brilliant and more complex harmonies. And here, he showed his selfishness and ego proclaiming the great song as “a Lennon song”.